Monte Almirante Nieto (the snow-capped peak in the background) and the Torres del Paine (to the right) rise above Lago Sarmiento, Chile. The summit of the Paine Grande, highest peak in the Paine massif, sails clear of cloud in a bright blue sky. 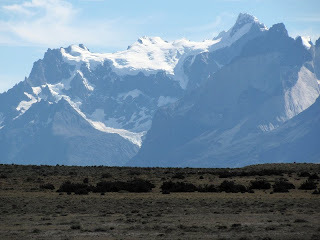 Usually even on the best of days, cloud streamers obscure the highest point of the Paine Grande. Today is exceptional! 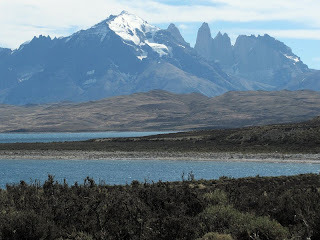 Chile lindo! 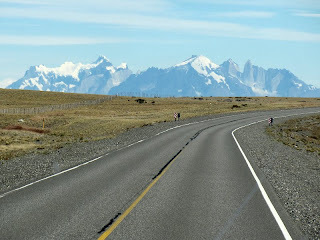 The Paine massif as seen from the highway between La Esperanza and Rio Turbio, Argentina. 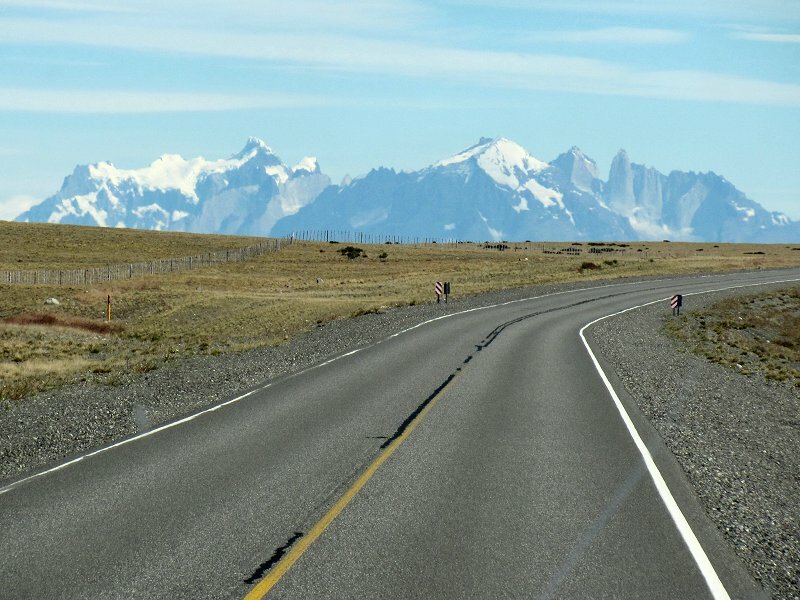 We will be crossing the border into Chile shortly! Sunrise paints the peaks of the Fitzroy massif. This splendid light show only lasted for about one minute, or so. 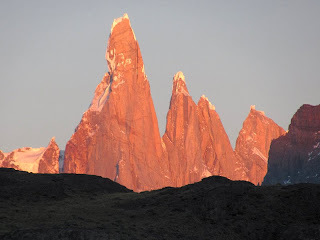 The orange light of sunrise on the Cerro Torre, Torre Egger, and Cerro Standhardt as seen from the mirador outside El Chalten. The time is about 7:15 AM. 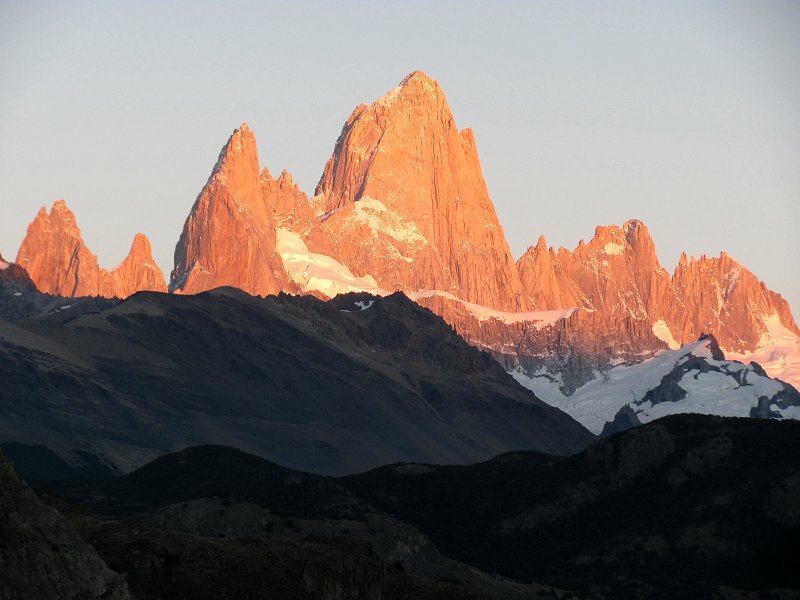 We are bound for Torres del Paine in Chile today.